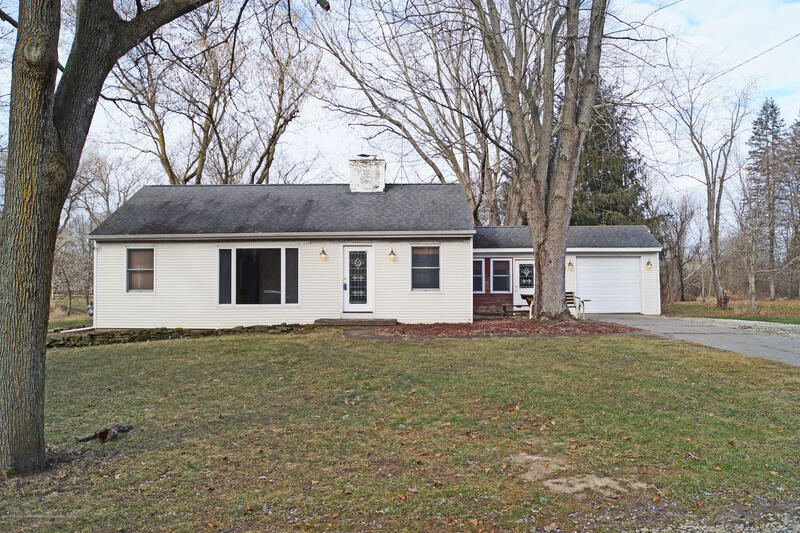 Updated 3 bedroom ranch on over an acre in Okemos close to the Meridian Mall with a stream on one side and a park across the street. This 1108 sq ft home has newer white glazed cabinets, granite countertops and stainless steel appliances. There is a wood burning fireplace in the living room for our cold winter nights. A new, never been used bathroom! Original wood floors in Living Room, Dining Room & Bedrooms. There is a 1 car garage and a large shed. Sold as is, flood insurance quote $477. a year.